Realme is constantly one-upping the competition on multiple curves. 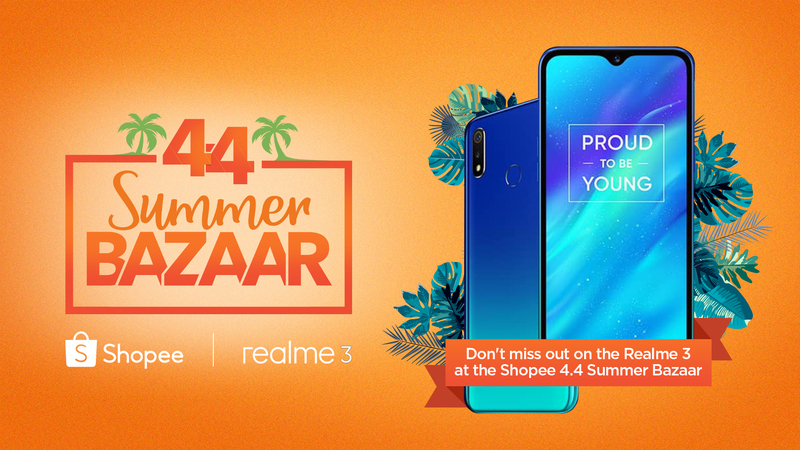 One of the company’s latest offerings, the Realme 3 becomes even more affordable for two hours tomorrow at the Shopee 4.4 Bazaar! Keep an eye out for the Realme 3 starting 12MN… that’s in just 3 hours!!! MANILA, MAR 29, 2019 – Shopee, the leading e-commerce platform in Southeast Asia and Taiwan, teams up with Realme Philippines to bring back the Realme 3 for a limited flash sale at 12 MN on April 4, the finale of Shopee 4.4 Summer Bazaar. The Realme 3 sold out in just two hours at its launch on Shopee on March 25, becoming the fastest-selling mid-range smartphone on the platform.